Why you’re ‘getting poorer’. SA’s middle class may even begin shrinking now, further reducing stability and growth. You’re not imagining it, you are getting poorer. 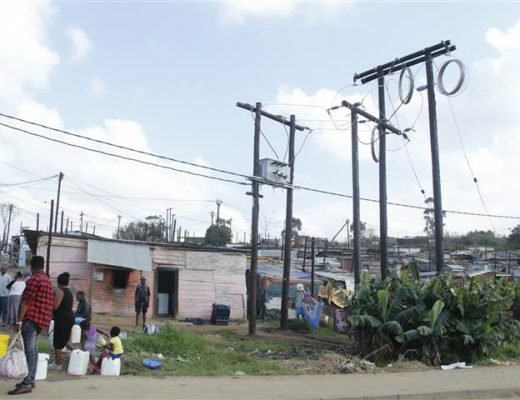 South Africa’s struggling middle class is being squeezed like never before by a heavy tax burden, rising food prices, debt interest rates and the cost of avoiding crime. There is even a very real possibility that the current middle class, about 9 million people or 16% of the population, could shrink as more and more people fall into poverty. The pressures on the middle class have been intensifying since 1994, although the group has grown considerably in size. The black middle class component, currently at 55% of the group, has tripled in the last decade. However, rising taxes, food prices and the “hidden taxes” of paying extra for services such as security, education and health mean the “freedom dividend” is beginning to shrink for many families. The continuing stagnation of the economy is the biggest threat to the middle class, which is one of the biggest factors in the stability and growth potential of a country. Professor Leslie Bank, deputy executive director of the Economic Performance and Development Programme at the Human Sciences Research Council, said the middle class in South Africa is too small and needs to increase by “at least 20% to 30%” if economic growth is to be sustainable. He urged government to grow the middle class by expanding opportunities and creating investments. Professor of economics at Stellenbosch University Servaas van der Berg said although there had been an increase in the black middle class, the figure “has slowed because the economy has slowed”. The white portion of the middle class has remained static because most of the “white population is already in the middle class”. Bank said more whites were struggling to retain their jobs. Most of the government positions occupied by whites during the apartheid era were now filled by blacks. Whites have become “poorer” and their “unemployed rate is growing”. Van der Berg added that everyone in the middle class is affected by tax, but it’s not that the taxes are necessarily too high. Putting security around their houses was important. In Professor Roger Southall’s book, The New Black Middle Class in South Africa, he wrote that “debt was the biggest middle class fear and “52% of middle class South Africans felt they would never be financially free”. But he added that the black middle class was said to be “taking the most strain” due to credit-binging and “dangerously high levels of debt”. The proportion of black owners of mid-value and higher-value homes outside townships was high. With homeownership, he said, there were multiple other expenses such as municipal rates, water and electricity. “Meanwhile, due to the absence of adequate policing, many within the middle class incur security costs, all to be added to the costs of school fees and private medical insurance, to which increasing numbers of the black middle class subscribe,” said Southall. The squeeze on the middle class is illustrated clearly with “Tax Freedom Day” – the day in the year when the country has earned enough to pay the direct and indirect taxes levied by government. In SA this year, it was May 23. On average, South Africans pay 40% of their income to government. Taxes, both direct and indirect, have been rising steadily. Tax Freedom Day (Brazil) 2017: July 24.